The 2018 Billboard Music Awards were a night to remember, with a number of A-list artists taking to the MGM Grand Garden Arena stage in Las Vegas to perform some of their biggest hits. 'American Idol' winner Kelly Clarkson opened the show with an emotional performance she dedicated to the victims of the recent Texas school shooting. Janet Jackson performed on TV for the first time in almost a decade. The award-winning musician accepted the 'Icon Award' at the awards show. 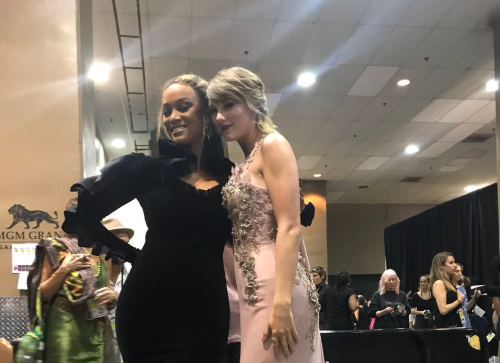 Other stars who performed on the night included Ariana Grande, Shawn Mendes, Demi Lovato, Christina Aguilera, Jennifer Lopez, and John Legend, and Ed Sheeran - who was one of the night's biggest winners. Korean group BTS stole the show. The pop band, who won the 'Top Social Artist' award for the second year in a row, belted out their new single, 'Fake Love' - much to the audience's delight. Model Tyra Banks could not stop singing the band's praises. "My heart swells w/pride every time the crowd here at @BBMAs yells like crazy for @BTS_twt. It’s major for so MANY reasons. Seeing their careers blow up to the stratosphere makes me SMIZE my eyes out!" she tweeted. ALSO READ: The Weeknd scrapped 'upbeat' album after Selena split?